Jordan Brand is dead serious in making noise this year with their Air Jordan 4 sneaker, which will come out in another GS edition this month. 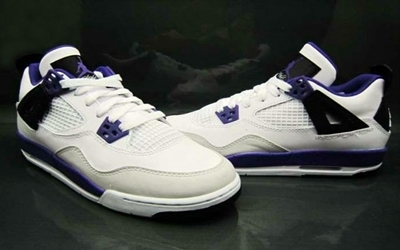 The Air Jordan 4 GS will be coming out in “ultraviolet” edition of the White/Ultraviolet-Black colorway of the shoe on April 11. The silhouette boasts a white leather upper with several touches of black and ultraviolet, creating an eye-catching combination. Watch out for this one. This is expected to make noise this month!